One or more photo(s) has been virtually staged. JUST REDUCED! 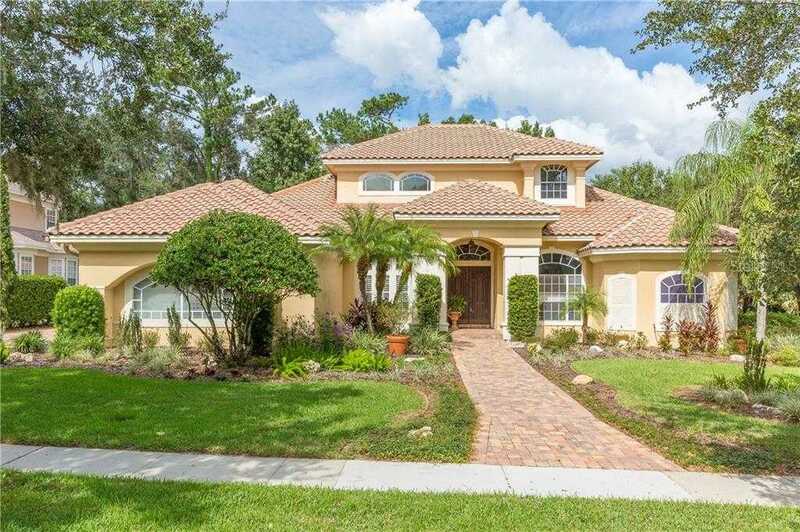 MUST SEE BEAUTIFUL POOL HOME in Gated Reserve at Tuscawilla Country Club community. 5TH BEDROOM in bonus room! Situated on beautiful lot with manicured and natural grounds. Meticulously maintained, this spacious home features volume ceilings with custom tray ceilings and finishes, bright natural light exposure and many upgraded architectural features including 8′ doorways, fireplace and abundance of custom windows. Outstanding 3 way Split Floor plan with maximum space flexibility. First floor includes breathtaking front entrance with outside views to pool and spectacular grounds. Over sized living areas offer great entertainment possibilities. All bedrooms are very generously sized. Over sized Master Bedroom features sitting area, access to pool and patio, spectacular closet with dual entrance! This property also features the best in outdoor living with spectacular pool and spa, outdoor eating area, garden, large lawn and all backing up to natural vegetation where nature abounds. Dining Room and Bonus Room/possible 5th Bedroom are virtually staged. Please, send me more information on this property: MLS# O5720693 – $698,000 – 110 Cherry Creek Cir, Winter Springs, FL 32708. I would like to schedule a private showing for this property: MLS# O5720693 – $698,000 – 110 Cherry Creek Cir, Winter Springs, FL 32708.